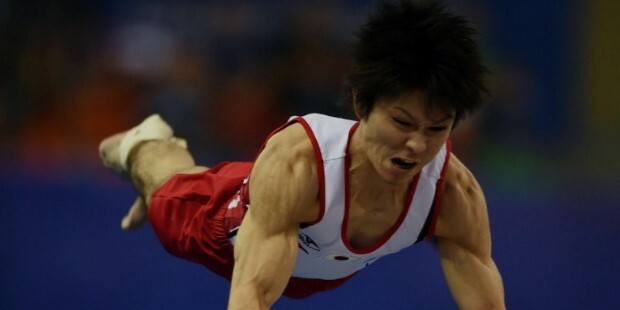 Kohei Uchimura is a professional international artistic gymnast from Japan. He is one of the greatest gymnasts with over 5 Olympic medals to his credit as well as around 19 World medals. 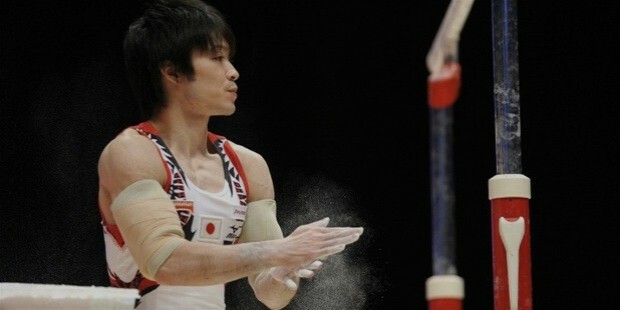 Kohei Uchimura was born on the 3rd of January in 1989 in Kitakyushi, a small town in the Fukuoka Prefecture in Japan. Koehi began training to be a gymnast at the tender age of 3 years at his parents’, Kazuhisa and Shuko Uchimura’s sports club in the Nagasaki Prefecture. At the age of 15 years, Kohei shifted to Tokyo to train with Naoya Tsukahara, the Athens gold medal-winning gymnast. In the 2005 International Junior Championships held in Japan, Kohei made his first international appearance but contested outside the official competition. In 2007, Kohei joined the Japan National Team and his senior debut was at the 2007 Paris World Cup held in March. 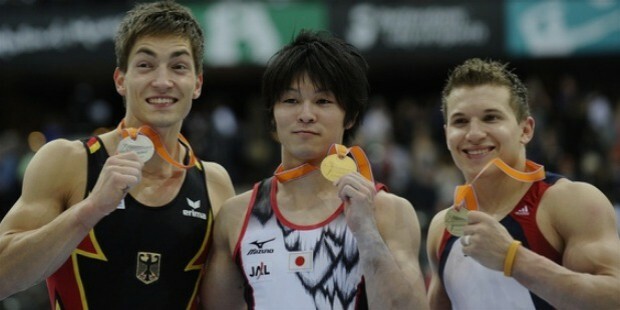 Kohei went on to win the bronze medal on vault and earned 9th place on the floor. 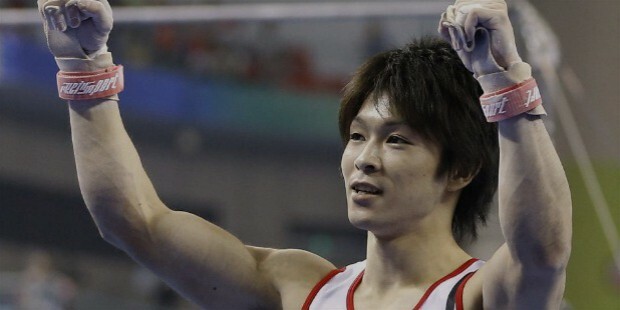 In August of the same year, Kohei, along with his teammates won the gold medal and was placed 1st on the floor as well as 3rd on vault in the 2007 Summertime Universiade held in Bangkok. In October of 2007, at the Japan National Championships, Kohei came 7th in the all round events and went on to win the silver medal along with his teammates in the international Good Luck Beijing event and earned the 7th place on the floor. 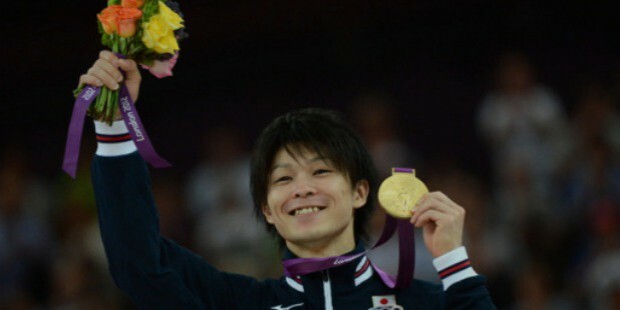 In 2008, Kohei started the year by winning the gold medal on floor exercise in the World Cup held in Tianjin, China. Later on, Kohei’s contribution earned his team the silver medal with his performance on the high bar, parallel bars, vault and the floor. After qualifying for the all-round finals he went on to win the silver medal in the event. This was the first Olympic gymnastic medal for Japan in 24 years. He qualified for the floor exercise final and came 5th in it. In the same year, Kohei, at the age of 19 years participated in the Japanese National Championships and earned the highest score on pommel horse and the floor exercise which got him the first national all-round title. 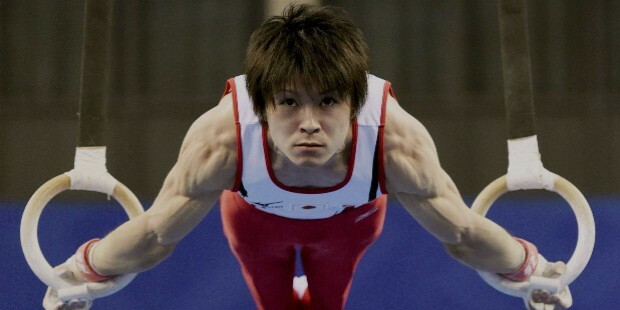 This made him the first teenaged gymnast to win the Japan men’s national title in 12 years. 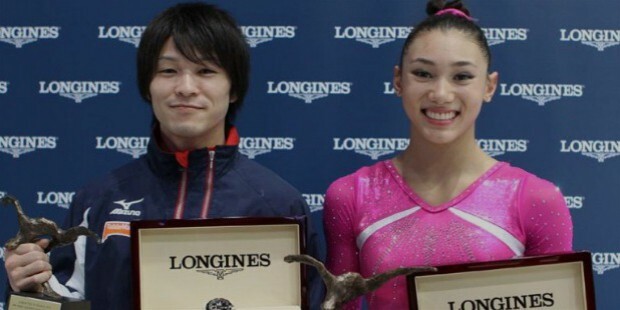 In the 2009 World Championships held in October, Kohei won the all-round title by defeating Daniel Keatings with a score margin of 2.575 points with top performance at the horizontal bar, vault, rings and floor. He also earned the 4th spot on floor as well as 6th on the high bar. In the 2010 World Championships held in October, Kohei was again selected to represent Japan along with his teammates in the national men’s team. 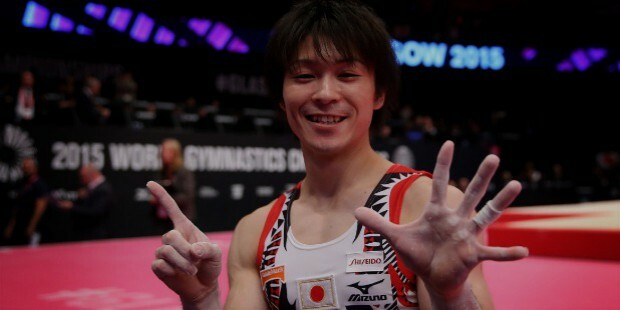 Kohei was significant in helping his team win the silver medal by competing in all final events, except the still rings. He went on to win the bronze on parallel bars and the silver medal in floor exercise in the final events. In the 2011 World Championships held in October, Kohei performed brilliantly and went on to win his 3rd all-round final at the event. He scored a total of 93.631 points making him the first male gymnast to win 3 all-round titles consecutively but also the first gymnast ever to do so. His highest score was on the floor exercise, parallel bars, still rings and pommel horse. Kohei won his first gold medal in a world championship event for floor exercise along with a bronze medal in the high bar as well as a silver with the team. At the 2011 World, Kohei was awarded the most prestigious honor, the Longines Prize for Elegance, which is awarded at every world championships to a male and female gymnast who displays ‘the most remarkable elegance’. 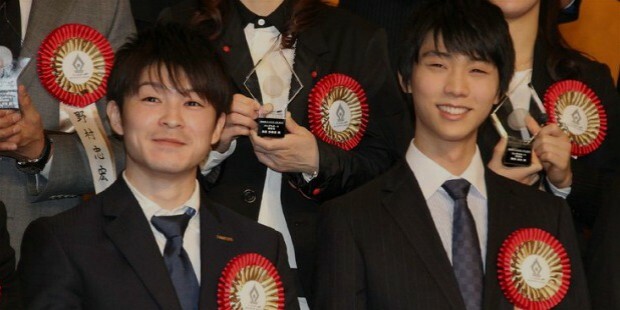 In the November of 2011, Kohei participated in the 65th Japanese Championships and won 4 gold medals. Apart from the all-round title, he also won title for high bar, pommel horse and floor exercise. In the 2012 London Olympics, Kohei won the gold medal in the all-round final with a score of 92.690 despite having begun to a rocky start. He also won the silver medal with a score of 15.8 in floor exercise. In the 2013 World Championships held in Antwerp, Kohei won his 4th consecutive all-round final at the world championships with a final score of 91.990 points with a large margin between the next in line. He also won the bronze medal for the floor exercise, a gold medal for parallel bars and a bronze medal for horizontal bars. This was also the highest number of total medals won by Kohei in a single World Championship. In the 2014 World Championships, Kohei made history by winning his 5th consecutive world championship with a total of 91.965 points. In October of 2015, Kohei went on to win his 6th World Championship title with a final total of 92.332 points. 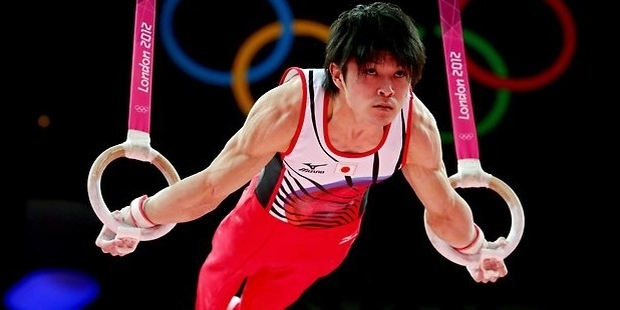 Kohei Uchimura is renowned for being the only gymnast ever, male or female, to win every major title in the all-round event in a single Olympic cycle.